Trending at $154.99Trending price is based on prices over last 90 days. Sony 55-300mm DT f/4.5-5.6 SAM Telephoto Zoom A-Mount Lens New!!! 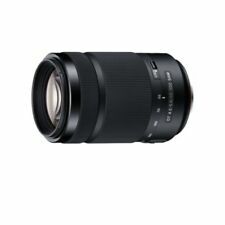 29 product ratings - Sony 55-300mm DT f/4.5-5.6 SAM Telephoto Zoom A-Mount Lens New!!! This page was last updated: 20-Apr 05:47. Number of bids and bid amounts may be slightly out of date. See each listing for international shipping options and costs.